I got a email the other day asking about some of the infrared photos on this site.. and what cameras were used to create them. I tried to email that visitor (but the email bounced) so if you’re out there, I thought I would make a quick post, since I have been asked that a few times on the blog. First off, a lot of the infrared camera shots were from my custom modified IR camera. If you’re interested, check out my post on how I converted a digital camera to infrared. Some of those interesting shots were actually taken in the day and not at night. That is one reason for the crazy exposure. 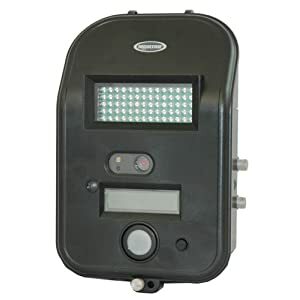 I have used the camera at night with a infrared illuminator for light source. Now the other shots (and the original emailer asked what camera was used on Ghost Adventurers) were taken with a Moultrie Game SPi I-40 camera. 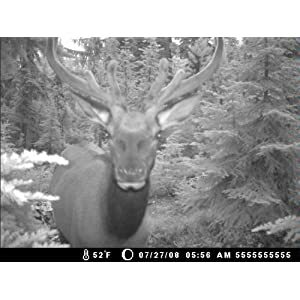 This is a great game camera which can take shots triggered by motion or manually. It has a tripod mount as well as the ability to tie on poles/trees, etc. It has incredible battery life. I’ve had mine for two years now.. and I’m still 60% charged. The Moultrie Game Camera writes to SD card, so space is dependent on the size of card you use. You can also configure the quality which can increase or lower the number of photos per session. Again, I’ve never run into a issue here. It stores a ton. When taking shots by hand it’s important to stabilize the camera, since it’s similar to ‘night shot’ on point and shoot cameras, and ayou can get photo artifacts or tracers.. not good evidence. If you guys are looking to pick up the Moultrie Game Camera it’s available for only $150 at Amazon at the time of this posting. I ‘ve seen the crew of Ghost Adventurers use this particular camera on investigations with interesting results.